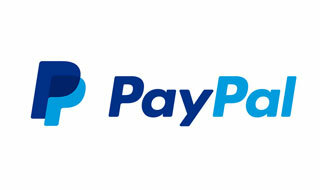 Paypal will no longer cover crowdfunding pledges under its payment protection plan. If you've been using Paypal for your pledges on Kickstarter, Fig, or any other crowdfunding platform, there are some changes coming in June that you should know about. As of June 25, the company will no longer cover crowdfunding pledges under their payment protection plan, which allowed users to recover the money pledged if the project did not deliver. The changes were announced in a post on the Paypal company blog. In a statement, the company said of the changes, "In Australia, Brazil, Canada, Japan, United States and other countries, we have excluded payments made to crowdfunding campaigns from our buyer protection programs. This is consistent with the risks and uncertainties involved in contributing to crowdfunding campaigns, which do not guarantee a return for the investment made in these types of campaigns. We work with our crowdfunding platform partners to encourage fundraisers to communicate the risks involved in investing in their campaign to donors." Note that these changes will not affect users in the UK. Paypal also said that while a user can still file a dispute to try and recover funds from the seller, "PayPal will generally not find in your favor if you escalate a dispute to a claim for an item which is not eligible for PayPal Purchase Protection"
This change means that there's one less way for burned crowdfunders to recover the money they lost in a failed project. Crowdfunding is inherently risky, which is why Paypal made this move. It only underscores the need for diligence from backers before they part with their money.